Aikijutsu is at the heart of Morihei Ueshiba O'Sensei's teachings of the art of Aikido! Daito-ryu Aiki-jujutsu, is a Japanese martial art that became widely known in the early 20th century by Sokaku Takeda, who had extensive training in several martial arts. Although the school's traditions claim to extend back centuries in Japanese history there are no known records regarding the ryu before Takeda. Whether he is regarded as the restorer or founder of the art, the known history of Daito-ryu begins with Sokaku Takeda. 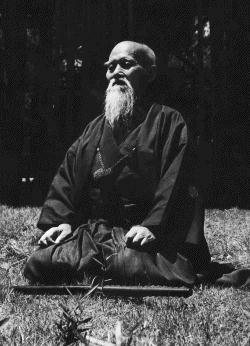 Perhaps the most famous student of Takeda was Morihei Ueshiba, the founder of aikido. Sokaku Takeda's third son, Tokimune Takeda, became the headmaster of the art in 1943. 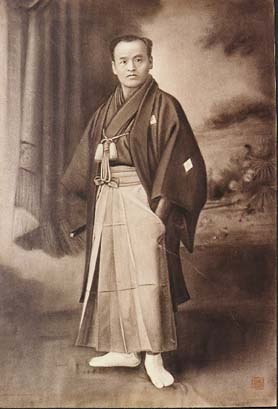 Tokimune taught what he called Daito-ryu Aikibudo, an art that included the sword techniques of the Ono-ha Itto-ryu along with the traditional techniques of Aikijutsu. It was also under Tokimune's headmastership that modern dan rankings were first created and awarded to the students of Daito-ryu. Tokimune Takeda died in 1993 leaving no official successor, but a few of his high ranking students such as Katsuyuki Kondo and Shigemitsu Kato now head their own Daito-ryu Aiki-jujutsu organizations. Aikijutsu focuses on the instant control of an attack. Like other forms of jujutsu, it uses throwing techniques and joint manipulations to effectively control or injure an attacker. Using the timing of an attack to either blend or neutralize its effectiveness and use the force of the attacker's movement against them. Daito-ryu Aiki-jujutsu uses plenty of atemi striking to vital areas of the body to prepare the attacker for joint locking or throwing. mentally at a glance and to win without fighting "
" Aiki is to pull when you are pushed, and to push when you are pulled. It is the spirit of slowness and speed, of harmonizing your movement with your opponent's ki "
Daito-ryu Aiki-jutsu techniques are broken up into specific lists which are trained in order, and students wont progress to the next series until they have mastered the previous one. After completing each series, a student is awarded a scroll that lists all techniques of that level. These act as levels of advancement within the school, and is a system that was common among classical Japanese martial arts schools before belts, grades, and degrees. The first category of techniques in the system, the shoden waza, emphasizes the more direct jujutsu joint manipulation techniques. The second group of techniques, known as the aiki-no-jutsu, tends to more strongly focus on the use of the opponent's movement or intention in order to pacify them, usually through throwing or pinning techniques. Officially the Daito-ryu system is said to include thousands of techniques, divided into omote and ura (front and back) versions, but many of these could be seen as variations upon the core techniques. Today Daito-ryu Aiki Jujutsu is the most widely practised school of traditional Japanese jujutsu in Japan. The large interest in this art, which has much in common with the many less popular classical Japanese jujutsu schools, is due largely to the success of Aikido. which was virtually unknown a few decades before. Aikido Success Blueprint - a massive collection of unique info that shows you how to prevent injuries and fast-track your skills. Key action steps for fast results! Aikido's influence was very great even in its early years when Ueshiba was teaching a more combative form closer to Daito-ryu. One of the arts which was significantly influenced was judo, which incorporated the early jujutsu skills taught by Ueshiba to Kenji Tomiki, who then incorporated these techniques into the self defense program for the Kodokan, judo's headquarters. Today's goshin jutsu kata preserve these teachings, as does Tomiki's Shodokan Aikido. The concept of aiki is an old one and was common to other classical Japanese schools of armed combat. There are some other styles of Japanese jujutsu which use the term aikijutsu but there are no records of its use prior to the Meiji era. There are many modern schools influenced by aikido which utilize the term to describe their use of aikido-like techniques with a more combative mindset to their training. A number of martial arts in addition to aikido which appear or claim to descend from the art of Daito-ryu or the teachings of Sokaku Takeda. Among them is the Korean martial art of hapkido founded by Choi Yong Sul, who as an orphan in Japan was trained and raised under Takeda. Hakko-ryu founded by Okuyama Yoshiharu who trained under Sokaku Takeda and Shorinji Kempo founded by Nakano Michiomi, who is known to have trained under Okuyama. Many techniques from Hakko-ryu are very similar to Daito-ryu. Numerous other schools of aiki-jujutsu or the variation aikijutsu also claim some sort of lineage to Sokaku Takeda or Daito-ryu.